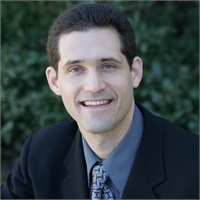 Steve Hornstein opened his Woodland Hills office in 2002, to assist individual and business clients to define and work towards meeting their financial and investing goals. Samara Lewinson took over for Evan Press in 2017 and manages investments jointly with Steve. Your Trusted Guides. The prospect of building wealth through successful investing has rarely been more challenging or important. But, it is not easy. You need a trusted guide. You need someone who can translate your goals and resources into a plan, and then implement that plan. You need someone who can help you avoid common investor mistakes and keep you on the straight and narrow path to your ultimate goal. As Financial Advisors, Steve and Samara are those trusted guides. We can help you define your long-term investment objectives, build and implement a personalized investment plan designed to help achieve those objectives and, perhaps most importantly, help you stick to your plan when the going gets rough. Personal Investment Plan. We understand that the greatest plan in the world will not work for you, if it is not yours. For that reason we take the extra time to get to know you and for you to get to know us. We work with you as trusted partners to develop your own personal investment plan. Hornstein Financial is a small office and every client is special. Complete Wealth Management. Hornstein Financial takes a comprehensive approach to wealth management, integrating investments, tax reduction strategies and estate planning. The three areas need to be coordinated and pull together if you are to achieve your long-term financial goals. * Offered through Hornstein Financial and Hornstein Law Offices, which are separate entities. **Nominal transaction charges may occur. **Annual fees are based on a percentage of assets under management. Steve H. Hornstein is a registered representative with and securities are offered through HD Vest.